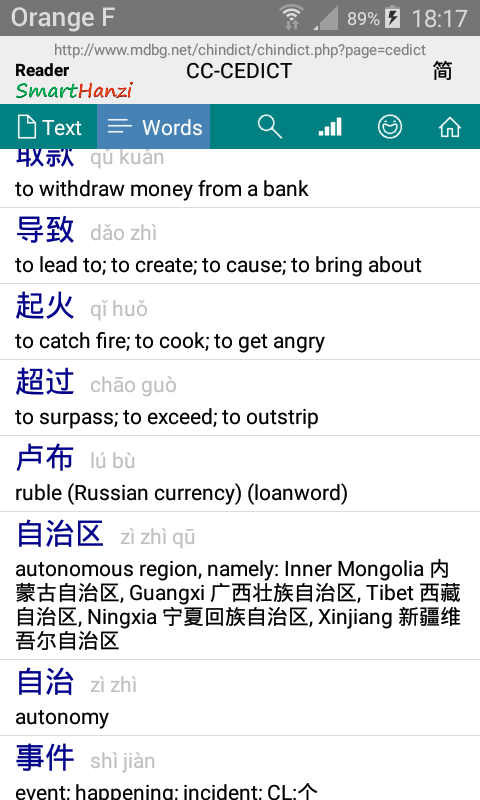 SmartHanzi offers Chinese dictionaries with HSK training and etymology of Chinese characters. Mobile versions derive from the proven web and desktop versions in order to provide a complete set of tools. All versions are free. - Dictionaries: English, French. Various search facilities by Chinese or by translation. 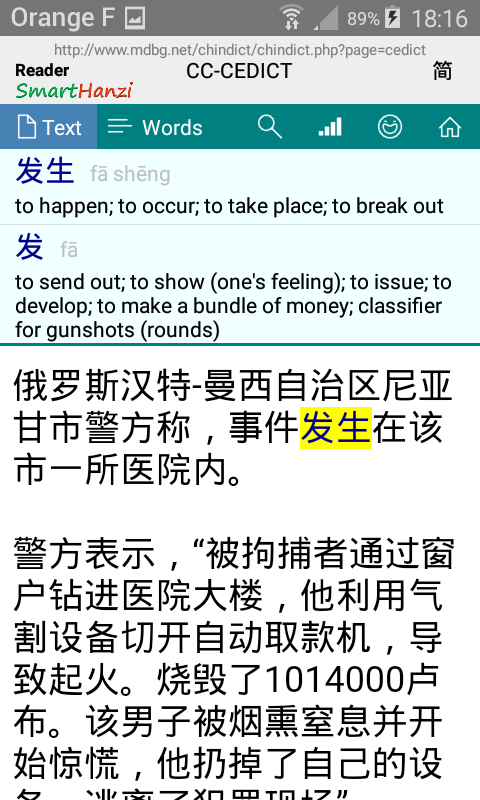 Simplified and traditional Chinese characters. - Clipboard reader: copy a full text and get all words with one click. 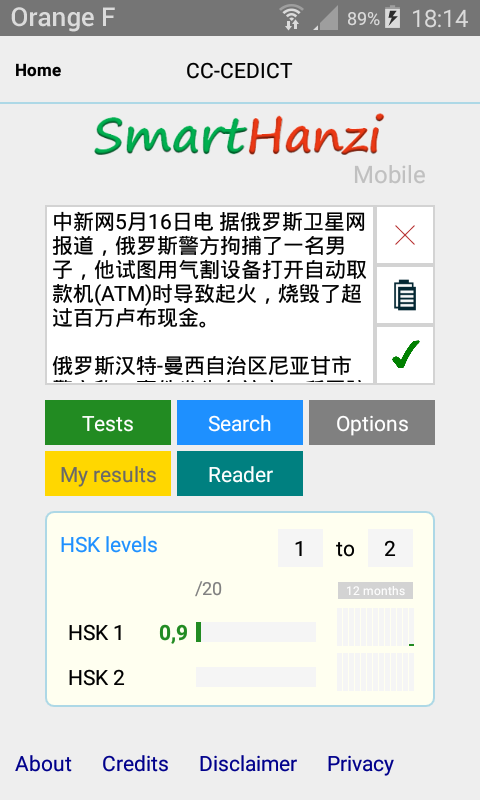 - HSK training: levels 1 to 6, monthly progress is shown. The basic option is with short tests, mistaken results are retried first. Users can prefer longer tests, review unsure words or check known words. In all cases, results are saved and user's progress is shown over the last 12 months. 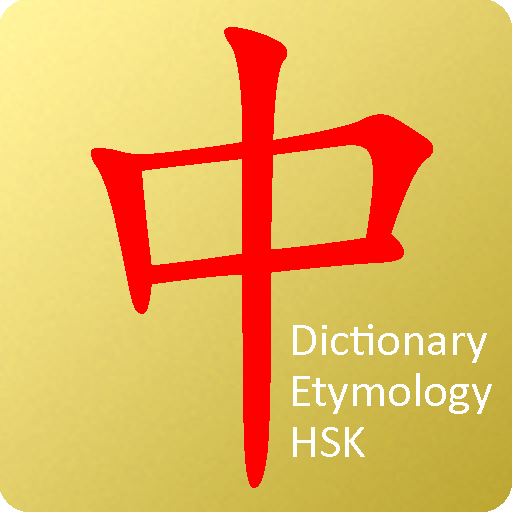 - Etymology of Chinese characters from the Etymological Dictionary of Han/Chinese Characters (EDHCC) by Lawrence J. Howell.